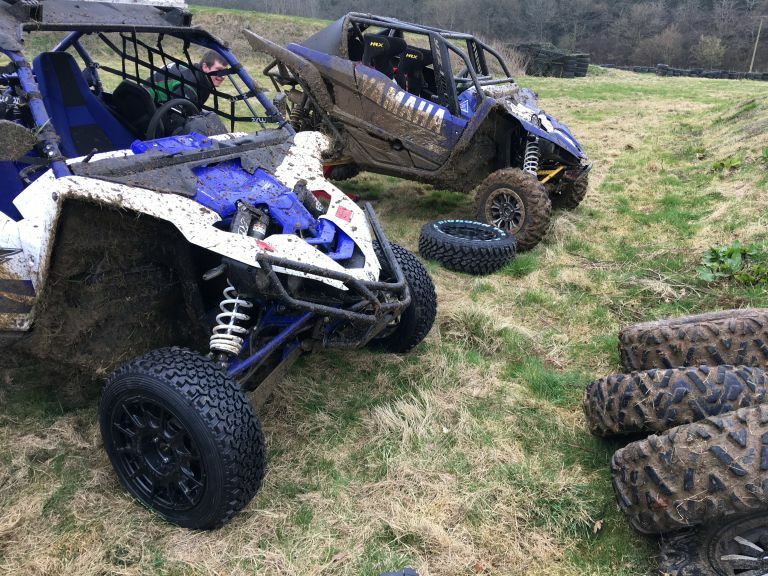 The majority of our racing in the Yamaha YXZ1000R since launch has been in rally type events on tyres that are heavily controlled by MSA (UK Motorsport Association), in short if they aren’t on their approved list – you cant use them. However for the 2017 season we are also running cars in the UK SxS Championship where the races are on MX style tracks and surfaces and tyre choice (other than limitations on size) are free. So as a central part of our support for all Yamaha drivers we need to find out what works. First off this is the start of this process, you never get to select a tyre after one test, partly as conditions change but also the weather plays a part, what might work in mud might not work in hard packed dust and seeing as this is March in the UK a dry hard packed surface is not likely to emerge until late summer (if at all). Our own test track was wet (very wet) so the outcome of this test is really for similar track conditions, we will continue the test process as the weather improves. Secondly we have no support or sponsorship status with any tyre manufacturer, we bought these tyres from their dealers, however we did inform each supplier what we were doing so for the purposes of the report we will not be ‘naming and shaming’ the weaker performing tyres, its not our job to tell people what doesnt work, merely what we feel does work and as the condtions were wet and muddy its not right to say tyre X doesnt work when it may work better in different conditions. 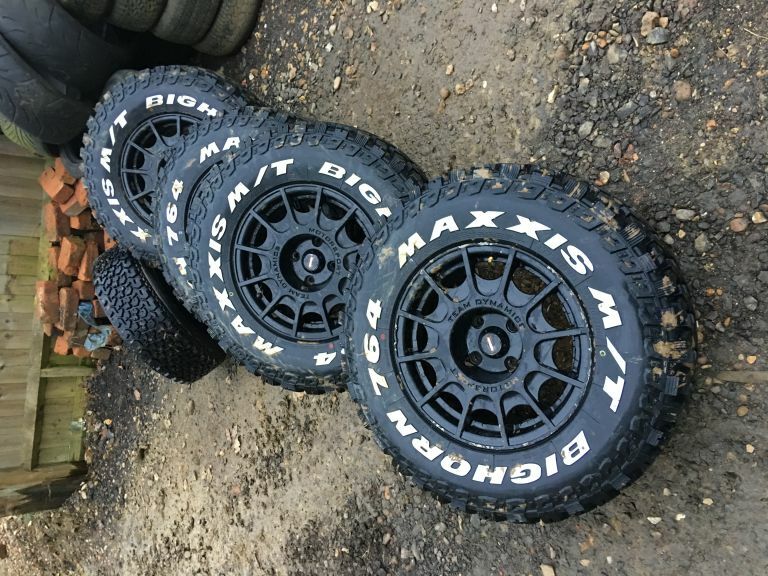 The test process was simple enough, we had 4 different tyres to try which inlcuded the standard Maxxis Bighorns fitted to the car. John did initial testing and subsequent repeat testing but we also recruited four other Yamaha drivers to get a wide input of data. Each tyre got 5 timed laps for each driver, we repeated the test with John in the car and also did some earlier testing again with John. The track obviously got cut up during this process and as such got slower as the test progressed so we dropped the two slowests times from each of the drivers then took the median time of the remaining three. 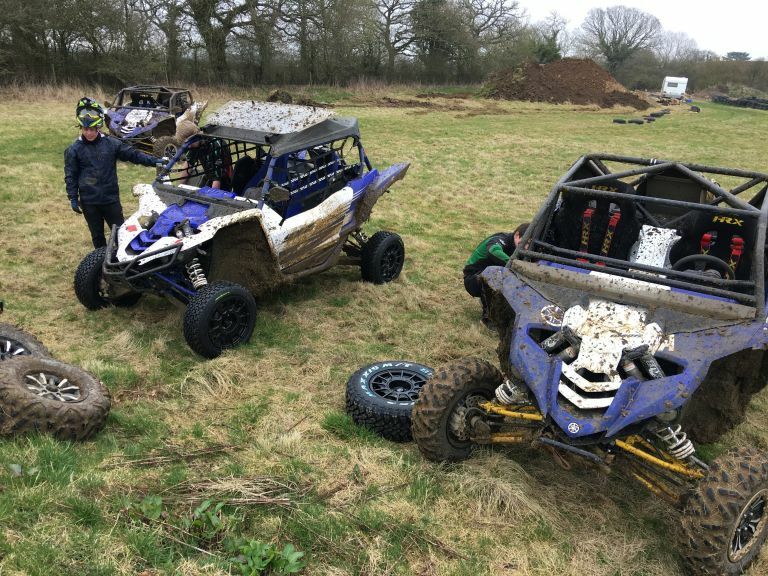 Two of the test drivers had never driven a Yamaha YXZ1000R before and two others had previous race experience. Of the 4 tyres tested there was one clear winner – the Maxxis 764 MT. 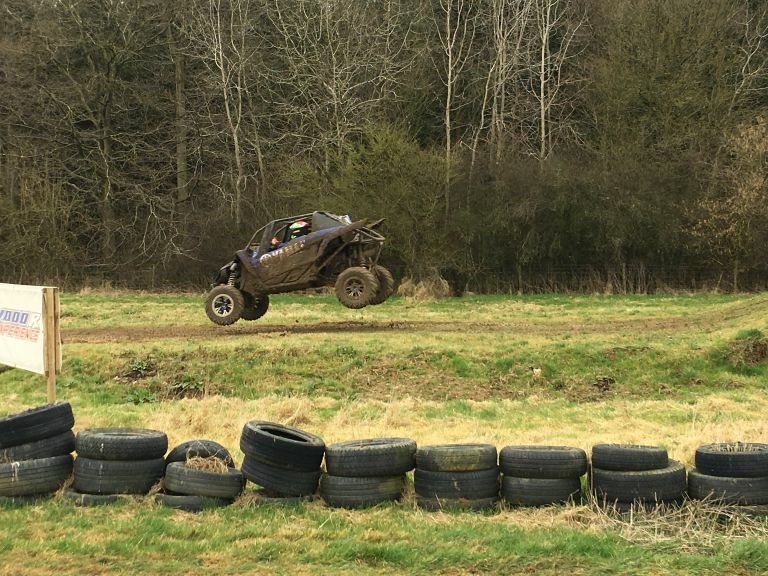 The standard Maxxis Bighorns did pretty well in the wet conditions but the 764 was an average 1.5 seconds per laps faster (an average 50 second laptime as we used our short course track, not the full track with the big jump – thats a measure of balls not tyres). 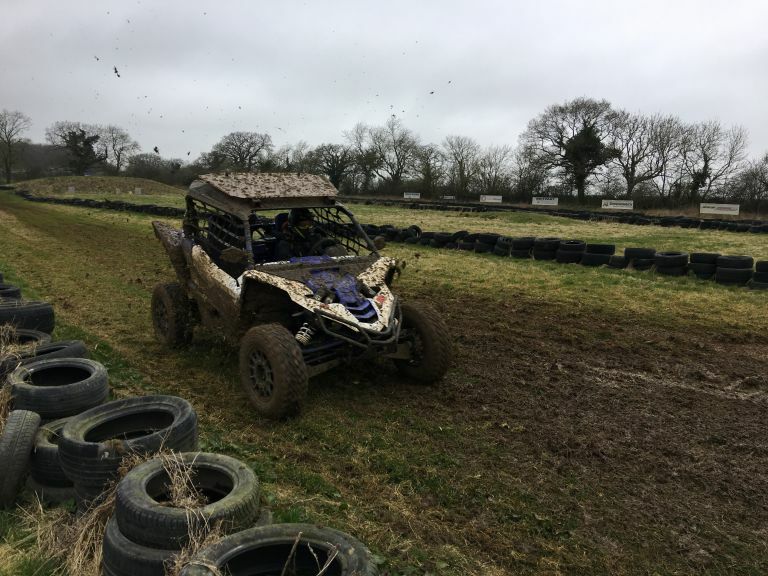 The other tyres tested just didnt cope as well with the soft mud conditions, but we will repeat the test later in the year (with some additions) on a drier track. Thanks to the drivers who kindly donated their time to do the test, first race we will see how the tyres compare in a full race environent.